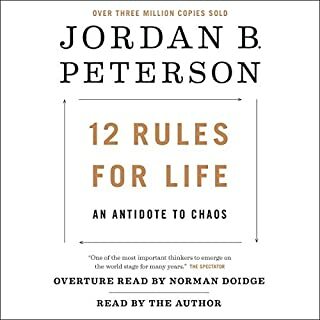 After having watched Dr. Peterson’s videos, it is good to have single and accessible text that summarizes most of the themes he has spoken about over the years. It is also good to hear his own voice animate the text. You can feel it in your chest when he speaks of “Chris” or of his daughter. I am certain that I will continue to listen to this book, as I have listened to his lectures, for many years to come.